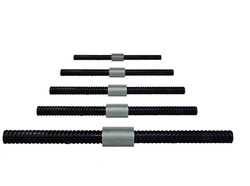 Metal Coupler is a threaded connection which guarantees an ultimate tensile strength of the joint (Splice) slightly greater than that of the parent bar. Each of the connection constitutes one sleeve that connects two bars, the ends of these which are threaded using our machines. Looking for Metal Coupler ?